In January 2004 we started to promote insurance4carhire.com insurance on our property insurance marketing site jml-property-insurance.co.uk. We then went on to add this to the jml holiday home self catering rental sites like englishcottagerental.com, euro-rentals.com and cotedzaurrental.com and in 2007 on the new jml-insurance.co.uk site. 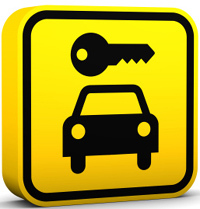 In February 2009 we launched insurance4carrental.com in its own right and the site has grown ever since. In 2009 questor insurance started to advertise their products and in 2010 Icarhireinsurance , essential travel and Odyssey were added. 2009 saw the introduction of van hire excess insurance and Insuremyvanhire.com is the provider. In 2010 insurance4carhire.com issued a Press Release saying Insurance4carhire and the JML Group Strike Gold - August 2010 "2010 has proved to be a successful year for award-winning excess car hire insurance company, Insurance4carhire.com and one of its top suppliers the JML Group, who recently announced they had made over £100,000 in revenue for the company"
The market for car hire excess insurance companies has increased a great deal since 2002 when insurance4carhire.com was founded by Larry Ursich and in April 2010 we found 30 companies advertising on the Internet. In May the numbers had increased to 31. Our findings are at "Car hire excess insurance service providers offering car hire excess insurance on the internet"
We are not an insurance company or provider. On this site providers of car hire insurance and van hire advertising products plus car hire advertise their products and when you decide to purchase a product you will be redirected by a link to the individual provider's own web site. 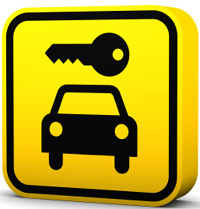 We also provide press release information from car hire companies, insurance companies and industry trade bodies. 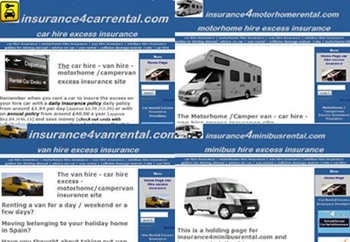 In July 2010 motorhome / campervan excess insurance was added to the site. Unfortunately in October 2017 Towergate Under writing Group owners of insurance4carhire.com changed underwiters. The underwriters could no longer have the jml Group promoting their organisation particularly with erbsite domain names that insurance in them. A great shame as we had clients clicking on their direct links that had created over £192,000 in the period 2004 to 2017.
jml Property Services, jml Training Consultancy, jmlvillas.com, jml insurance.co.uk, jml-property-insurance.co.uk, euro-rentavilla.com, euro-rentals.com, insurance4carrental.com, insurance4vanrental.com, insurance4motorhomerental.com , cotedazurrental.com ,irishpropertyinsurance.com, are trading names of Jeffrey Milner Ltd.
As a visitor to this website, you acknowledge and agree that any reliance on or use by you of any information available on this website shall be entirely at your own risk. In no event shall jml be liable for any direct, indirect, consequential or exemplary damages arising from the use or the performance of this website. jml Property Services (including trading names like insurance4carrental.com - insurance4vanrental.com - jml-insurance.co.uk - jml-property-insursance.co.uk) acts purely as an advertising service for insurance companies marketing their products on this website. We are not insurance brokers and are unable to offer advice or deal with any of our advertisers enquiries under the UK regulations. All dealing must be with the insurance company that you will gain access to via a link from this website. Under UK regulations jml Property Services are unable to give advice either verbally or in writing regarding insurance or assist with changes to insurance policies that you have taken out. You must contact the insurer direct. We are therefore unable to provide any quotes ourselves as we would be breaking the law. All dealing must be with the insurance company that you will have accessed via a link from this website. You should check out with the insurance company/ vehicle hire / vehicle service advertising on this site any of their terms and conditions regarding the products they are advertising by visiting the individual advertiser's own website. Information from Press Releases, articles and other features on this site is given in good faith, however we have no control over it's accuracy. If we have published material on this site that should not be published please Contact uss and advise excactly why it should be removed and we will arrange for it's removal. jml refers visitors by means of hyperlink to other websites, where personal data is collected. JML cannot be held responsible for the management of data by 3rd party websites and we urge you to read their privacy policies before submitting your data. Other types of insurance are also compulsory, however if you are renting or letting a property,going on holiday, are a home owner, in business you need to keep up the insurance payments. If you're not insured you could be risking losing your belongings. You might decide to stop your household insurance / contents and buildings. What happens if there is burglary at your property or a fire? No insurance no insurance pay out. Don't cut back on insurance. You never know when you might have to make a claim and you should always make sure that your hire car is properly insured and you take out travel insurance.